Florida Academy of Medical Aesthetics near Miami-Dade County offers classes in skin care Miami estheticians trust and we can advise you on the best skincare products to give your clients the highest quality service possible. If you have been searching for a way to begin your esthetics career, Florida Academy of Medical Aesthetics has skin care courses that will allow you to get the start you have been wanting. Each of these ingredients serve the purpose of getting rid of acne. However, the way that they do it differs. Benzoyl peroxide kills bacteria effectively and quickly to clear up acne. Typically, this ingredient is effective for regular acne in people of any age and it can be used regularly in skin care routines. It can, however, have drying properties as well as redness. This is why it should be used in conjunction with a moisturizer to prevent peeling. Salicylic acid is a slower working chemical. It gets rid of the dead skin that can clog up your pores and is typically better suited to treat hormonal acne. Because it can take a while to see results, some may mistakenly believe that it is ineffective but it actually reduces the pore size while also keeping dead skin from clogging the pores. Toner is a critical part of the skin care routine. While old-fashioned toners focused on stripping the face of oil, toners today are made to remove impurities from the surface of the skin and create a clean, moisturized base for the rest of the skin care routine. A good toner will have some moisturizing properties and be gentle on the skin. Exfoliator makes a huge difference in your skin care. It can clear your skin up of impurities and removes buildup from your daily life. However, exfoliator is going to affect different skin types in very distinct ways. People with oily skin benefit from a regular exfoliation because they need the exfoliator to clear up the extra oils. On the other hand, people with dry skin may need to find a gentler exfoliator and limit their use of it to only a few times a week. 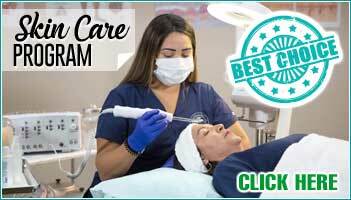 Want to Take Courses in Skin Care Miami Estheticians Trust? Knowing the best skincare of the year is not only going to better your skin but is going to help you advise your clients as an esthetician. If you are interested in learning more about skincare or you would like to begin your career in esthetics, contact Florida Academy of Medical Aesthetics. We offer a diploma program for skincare which allows students to take skin care courses. Graduates then become eligible to get take their licensure exam in the state of Florida. Knowing the best skincare products can help you be more knowledgeable to your clients and gives you authority as an esthetician. If you would like to learn more in-depth about skin care, visit the Florida Academy of Medical Aesthetics website to learn more about our courses in skin care Miami estheticians recommend. Contact us or visit our website to look our skin care courses.